Nebraska shield with MUTCD fonts. 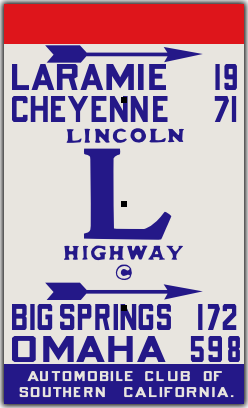 State route shield on black background, with 1948 MUTCD fonts. The sign is 24x24 or 30x24 inches. It is printed using cutting-edge technology, to replicate accurately the look of classic Silver Scotchlite sheeting. Available in traditional white with black legend as used by that state - with any route number. 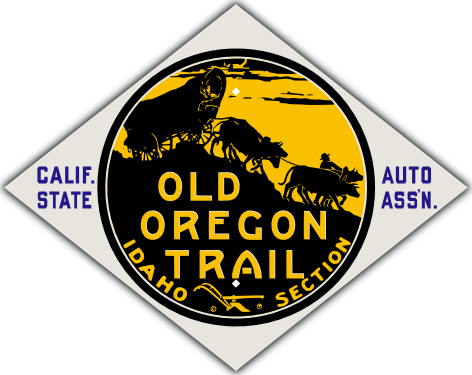 This guide sign was placed by the California State Auto Association in the late 1910s, in all the states that the Oregon Trail crossed. Available in right-facing (as shown) or left-facing version, with any state name.